1. Who do I contact to get a roadside pitch? 2. How much is rent for a roadside pitch in the North-West of England approx? 3. Where can I get hold of a list of UK events that I could rent a pitch at? If anyone can answer these questions I would be greatful. How much is normally the public liability cover for the catering trailer? how much is the minimum cover ,1,2,3,4,or 5million? The best people to ask would be your local council or the highways agency with regards to a road side pitch - see if they can point you in the right direction. As for rent this again is something that I can not give you a solid answer on as this is dependent on who ever owns the land. As far as I am aware most roadside pitches are rent free or they pay very little. As far as U.K events are concerned the best resource that I’ve seen is a website called eventsbooks co uk - just Google it. 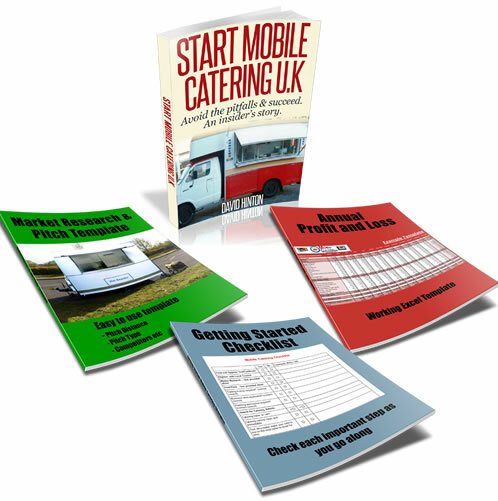 They have a book that list events all year round which also includes numbers and addresses for you to contact. Well I hope this info helps you out.